Even people who use Lexcycle's Stanza e-book reader on their iPod Touch, iPhone, and iPad may not be aware that there's a desktop version of the program; the company doesn't advertise it. 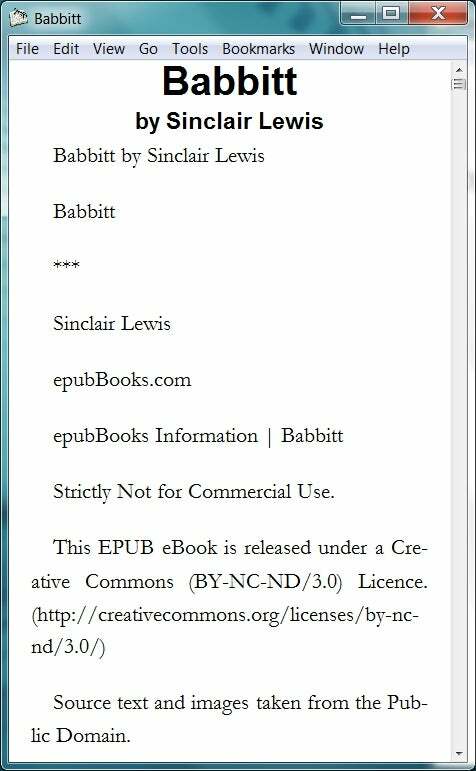 Stanza Desktop (free) not only allows you to read books on your PC (or Mac), it converts many different document types to the popular epub format. It can convert PDF, RTF, Kindle, and eReader, just to name a few. There's not much to look at with Stanza Desktop, but it does very good job converting most documents to epub format e-books. Unfortunately, only .doc Word files are supported, not the newer .docx files. For this reason, along with its Spartan design and some quirks, I initially abandoned it in favor of the far more versatile Calibre. Calibre is a fine program--and like Stanza Desktop, it's free--but for some reason, it wasn't doing a good job removing headers from several books I'd converted from PDF. Just for kicks, I re-downloaded Stanza Desktop, opened the documents, and darned if it didn't strip all those pesky headers. Basically, Stanza strips everything; then you supply the title, author, and other information yourself using the Book info function if the program doesn't find that. Stanza does a very good job of recognizing chapters and converting files to .epub format, and does so automatically without all the fuss and options that Calibre throws at you. Stanza Desktop also allows you to transfer a book to you Apple mobile device without using iTunes. Simply enable sharing on the menu and it will appear under the shared heading in the mobile version of Stanza--assuming both devices are on the same network. You may then add it to your library. Although Stanza Desktop is very basic, and there are no batch operations, I actually prefer it to Calibre for whenever I need just a few files converted tout de suite. It's great for quick and dirty conversions, as well as for getting a book onto my iPod Touch when I'm in a hurry. If you're looking for an e-book organizer and more bells and whistles, grab Calibre as well.